Grzegorz is an experienced cybersecurity manager who works for Alior Bank, one of the most innovative banks in Europe. 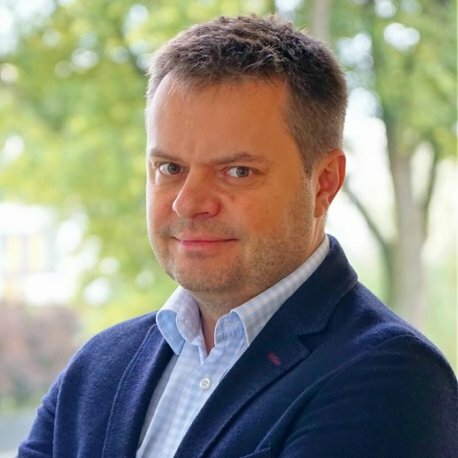 He has the privilege to lead one of the best cybersecurity teams in the Polish banking sector. He manages the team of about 40 highly qualified and open minded experts who are responsible for the day-to-day security of Alior Bank in such areas as IT security, online transaction security, fraud detection, card payment security and physical security. Before joining Alior Bank, he led the teams of IT Security experts at Deutsche Bank PBC S.A., Orange Poland and he also served in the Polish Army. He graduated from the Faculty of Electronics at the Military University of Technology in Warsaw. He also completed post-graduate studies in the field of risk management in financial institutions at the Warsaw School of Economics (SGH), social psychology at the SWPS University of Social Sciences and Humanities and Master Of Business Administration for IT at the Kozminski University.